Here you may find some useful information about becoming certified in landscaping, lawn care, mowing, and other fields related to the industry. PLANET Professional Landcare Network - Per their website: PLANET is a national trade association representing more than 100,000 landscape and lawn care industry professionals who create and maintain healthy, green living spaces for communities across America. PLANET members are committed to the highest standards in industry education, best practices, and business professionalism. University of Georgia - The University's Principles of Turfgrass Management may be of interest to anyone in the lawncare, landscaping or related field. There may be additional courses that may be of use to you as well; visit their site to learn more. Lawn Care Technician Training - Here a compilation of useful tips and resources may be found regarding certification options, availability and requirements for becoming a successful lawn care technician. Northeast Organic Farming Association - For customers interested in techniques and methods with a minimum of non-natural practices employed, this organization's Organic Lawn Certification course may be of use. 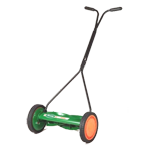 Education Portal - Containing information gathered from the U.S. Bureau of Labor Statistics and various state licensing agencies, this site contains valuable information about becoming a residential lawn technician. Certified Lawns - Although we did not build this website, this site is an example of the professional look we can deliver for you. When combined with excellent work, fairly priced services and excellent customer service, a website such as this can deliver you great business and repeat customers. BOI is not affiliated with any of the sites or organizations linked to and does not endorse any of the products or services offered by them. This information is provided as a courtesy by www.GetMowed.com.